"Come and hear, all you who fear God, and I will tell what he has done for my soul" (Psalm 66:16). This year is special to Christians around the world who love the Reformed Faith. It is the year in which we are expressing gratitude to God for the birth of the Reformer, John Calvin. It is the 500th anniversary of his birth. Hence, Reformed magazines and books are coming off the press with various articles on the life and worldwide impact of John Calvin. Here in Zambia, we have refused to be left behind. Hence, the delayed May issue of Reformation Zambia will be a commemorative issue on the life of John Calvin. Look out for it! This year is also special to those of us in Zambia who love the Reformed Faith because it is the 20th anniversary of the birth of our annual Reformed conference. Twenty years ago, when we could hardly count the number of Reformed Baptist churches in Zambia on one hand, and when to be “Reformed” in Baptist circles was equivalent to being an ecclesiastical rebel, we dared to pin our colours to the mast and hold our first national conference. 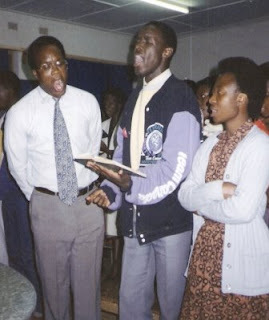 The preachers were Achille Blaize, pastor of Grace Baptist Church, East London (seen above, singing with Charles Bota and Grace Chibangula at first conference in 1990), and Alfred Nyirenda, then pastor of Kitwe Chapel. At that time, the conference was a very important rallying point because our churches were new, our congregations were relatively small, our pastors were young, and we were scattered across the country. It was important to come together once a year to see the bigger picture and to encourage one another about the things most surely believed among us. We deliberately majored on getting older pastors to come in from other countries so that our congregations did not think that what we were trying to achieve was novel. We were merely part of a worldwide movement of the Spirit of God that was bringing a robust and biblical Christianity back to the churches all over the world. (Below is a picture of the conference in 1991). The conference comprised two events from the very beginning. However, in the first few years, it comprised a pastors’ conference, which was then followed by a youth conference. Somewhere along the way, we modified this into two concurrent events—the Reformed School of Theology (for pastors and church leaders, and their wives) and the Reformed Family Conference (for everyone else)—with everyone coming together during meals and for the evening meetings. This annual feast has become the biggest Reformed conference on the African continent. Since those small beginnings twenty years ago, we now have well over thirty Reformed Baptist churches scattered all over the country. This annual feast has become the biggest Reformed conference on the African continent. It has attracted brethren from other African countries (e.g. Botswana, Democratic Republic of Congo, Kenya, Lesotho, Malawi, Namibia, Tanzania, South Africa, Uganda, and Zimbabwe) and from other parts of the world (notably, the USA, the UK and Australia). It has given birth to a number of joint ministries between our Reformed Baptist churches, enabling us to work together to spread the gospel far and wide. 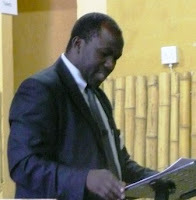 (The next two pictures were taken at the 1992 conference, held in Kitwe). For the next four months, leading up to this year’s conference in August, I want us to recollect “the good old days” on this blog. In this month of May, I would like to hear from those of you who attended any of the first five conferences, i.e. from 1990 to 1994. I want you to share something of what you experienced sitting under the ministries of abena Blaize and others that God chose to preach his Word to us in those days. I want us to reminisce about the precious fellowship that we enjoyed with likeminded brethren in the days when we were few and far between. Let us hear from you. In case your memory is rusty, let me remind you of the preachers and the topics in the first five years of our conference. 1990 - (Lusaka: Alfred Nyirenda, Achille Blaize) The topic was, The Church of Christ - Eldership rule, and the Use of Confessions of Faith. 1991 - (Lusaka: Martin Holdt, Vernon Light) The topics were Pitfalls of Reformation and Expository Preaching. 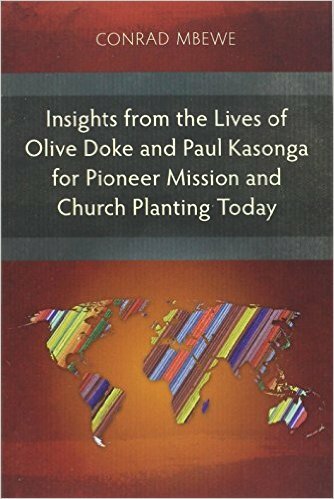 1992 - (Kitwe: Peter Milsom, Tedd Tripp, David Straub, Conrad Mbewe) The topic were, The Atonement, The book of Habakkuk, Pastoralia, and the Puritans. 1994 - (Lusaka: Nigel Lacey, Mazuwa Banda) The topics were Our Great Salvation, the Pastor as Physician of Souls, and the Church’s Response to the AIDS Pandemic. (The photo above was probably taken at the 1994 conference, but I could be wrong). Did you attend any of these first five conferences? Then, I wait to hear from you! Come on, don’t be shy. Tell us something of your experience when you attended the conferences in those days...and make it a point to join us this year when we celebrate 20 years of these annual conferences. The conference dates for this year are Monday 24th to Friday 28th August. The theme is, "The whole of life under the whole of Scripture". Isn't this what true Reformation is all about? 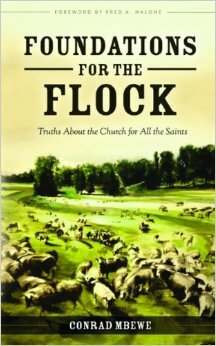 It is not just about the Five Points of Calvinism! Our efforts to get abena Blaize back for this conference failed because our dear brother is presently not in the best of health, and so we are still finalising the list of preachers for this special 20th anniversary conference. See you there! In case you have never commented on a blog before, click on http://www.conradmbewe.com/2009/01/reviewsix-months-of-blogging.html where I gave a brief tutorial on how to upload your comment. So, there is no excuse for keeping the memories of the good old days to yourself. Go for it! “Everyone to whom much was given, of him much will be required, and from him to whom they entrusted much, they will demand the more” (Luke 12:48). Pastor Kabwe Kabwe (picture below) of Grace Reformed Baptist Church, Ndola, Zambia, and I were in Barberton, South Africa, last weekend preaching at the African Pastors Conference (formerly, the Evangelical Press Conference). We must have had slightly over 100 pastors and church leaders present, largely from the area around Barberton and from Swaziland. The theme of the conference was “Marks of a Healthy Church”. Pastor Kabwe handled the need to ensure regenerate membership, faithfulness to church discipline, a biblically qualified and working leadership, and a commitment to the work of missions. I handled the need to ensure biblically regulated worship, commitment to biblical preaching, and the need to ensure biblical dispute resolution. I also presented a biographical sketch on the life of William Carey, “the father of modern missions”. 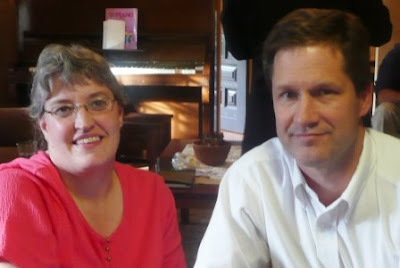 The chief organizer of this conference is Karl Peterson (seen below with his wife, Glynn), an American missionary living and ministering in Barberton. He is a very committed conference organizer and is also involved in organizing the annual FIEL Conference in Nampula, Mozambique, together with Dr Charles Woodrow. Erroll Hulse, who is part of the organizing team of all the African Pastors Conferences, also came down from the UK to lend his support to this conference. 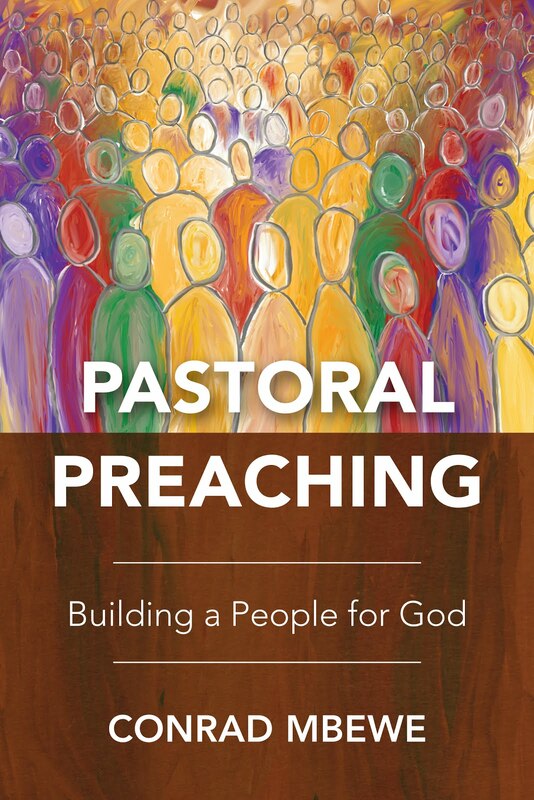 His indefatigable labours in ensuring that Publishers give a most generous discount on books that are sold at these conferences ensures that pastors and church leaders go back home with these books to help them in their ministry. Without this discount, most of the pastors who attend these conferences would only wistfully watch these priceless ministry tools on the book tables because many of them are too poor to purchase them at their real market value. These African Pastors Conferences are growing both in attendance and in number. About seven of them were held last January all over South Africa, where Pastors Choolwe Mwetwa and Raymond Zulu were the main preachers. Two more were held in Botswana and Zimbabwe last year, where Pastors Ronald Kalifungwa and Isaac Makashinyi were among the main preachers. There are plans to start another one in Swaziland soon. Enquiries have also been received from Tanzania. We need to pray for these conferences. The organizers would like to maximize on—though not limit themselves to—the use of Zambian pastors. So, we have a very heavy responsibility on our hands! Remember the words above: “Everyone to whom much was given, of him much will be required, and from him to whom they entrusted much, they will demand the more” (Luke 12:48). These conferences are a rare opportunity to introduce biblical Christianity to the many African pastors who are easy prey to false doctrines simply because of ignorance. I am grateful to God for the opportunity to participate in them and I gladly commend them to you for your prayer support.